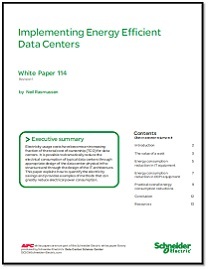 Are you challenged to deliver data center flexibility and meet business objectives without compromising system reliability? This balancing act isn't easy. In this exciting 30-minute webinar, we will discuss what you need to know in evaluating the Galaxy VX solution, what the key value drivers are and how to build a business case when you're choosing your next scalable solution.